There's still hope for getting your presents there on time. Holiday shopping procrastinators are getting a little extra time to complete their online purchases due to extended shipping deadlines and same-day delivery deals, but time is ticking. Here’s what you need to know in order to make sure everything you ordered arrives before Dec. 25. 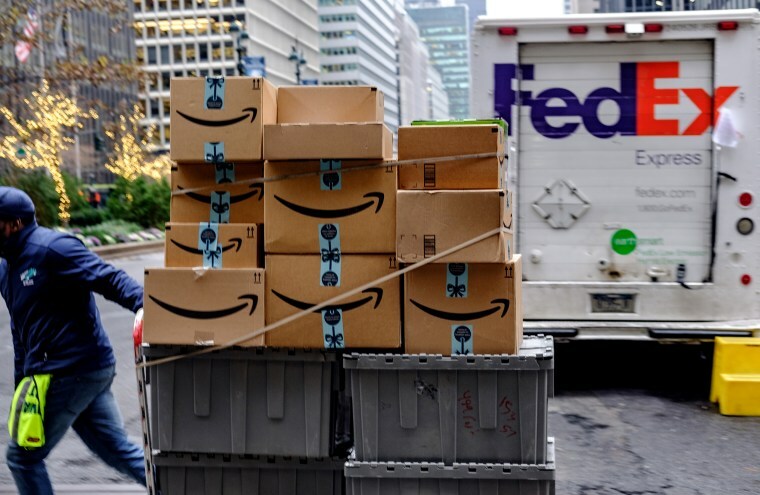 Amazon extended its free shipping deadline to Wednesday, Dec. 19 for all customers who want to receive their purchases before Christmas. Prime members will be able to shop until Dec. 23 with free one-day delivery. On Christmas Eve, Amazon will offer free same-day delivery for Prime members, as long as orders are placed before 9:30 a.m. local time. Amazon Prime Now even offers two-hour delivery windows in a few dozen cities for orders placed before 9:15 p.m. While many items are available, you should still make sure your item has a “Prime FREE Same-Day” icon on its page. You can also search available gifts by using Amazon’s “Prime FREE Same-Day” filter. If you’re not a Prime member, Amazon is offering a free two-week trial, which can be used to take advantage of those last minute shipping perks. Walmart is offering free two-day delivery on select gifts ordered by 2 p.m. local time on Thursday. Depending on the item and the buyer’s location, select items may also be available for delivery if the order is placed by Dec. 22. Shoppers can check eligibility on each item’s page. Customers who miss that deadline can also order a gift by Dec. 23 at 4 p.m. and Walmart will have it ready to pick up in person on Christmas Eve. Target is offering free shipping on select items, as long as they’re ordered by Dec. 20 at 11:55 p.m. CST. Express, one-day shipping is available for certain gifts, as long as the order is placed by Friday, Dec. 21. Order cut-off times may vary, according to a post on Target’s website, so figure the earlier, the better. If all else fails, Target offers free in-store pick-up, or you can download the Target app and choose the “drive up” option. A Target employee will deliver your purchases to your car, without you ever having to step into the store and brave the holiday crowds.